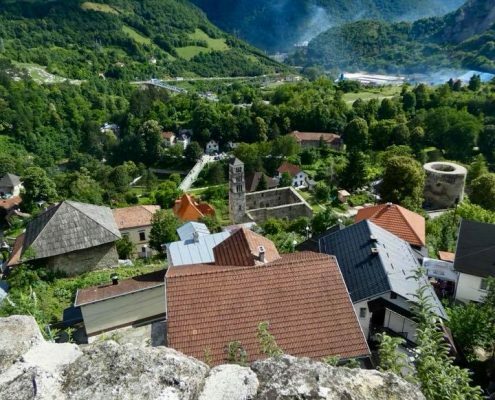 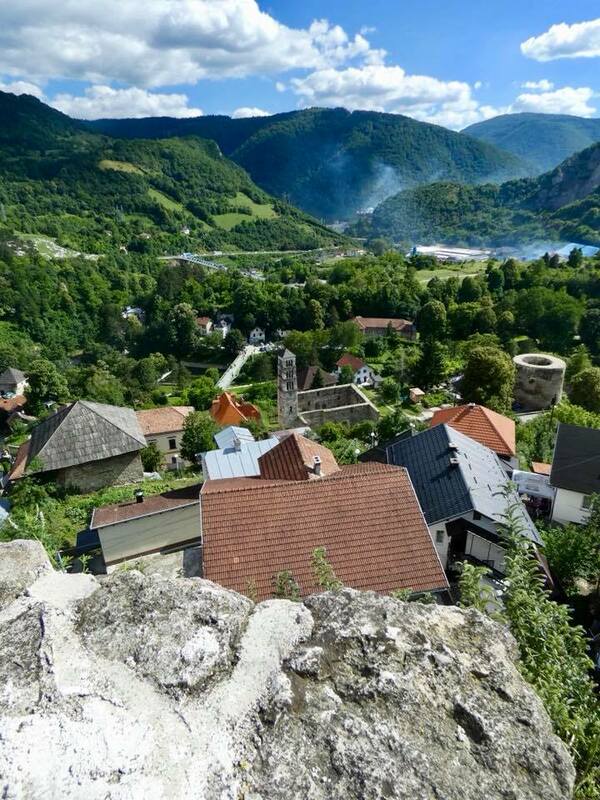 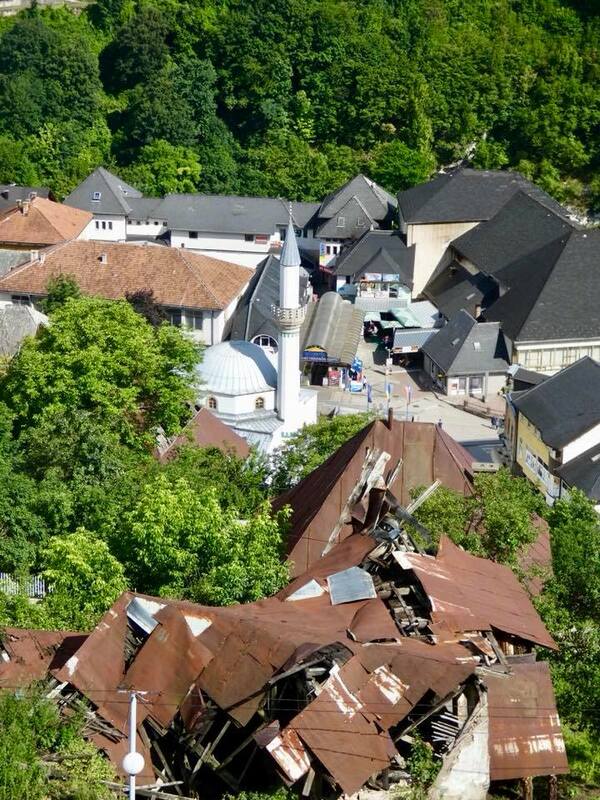 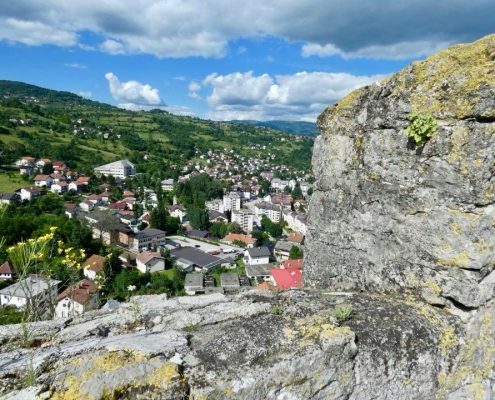 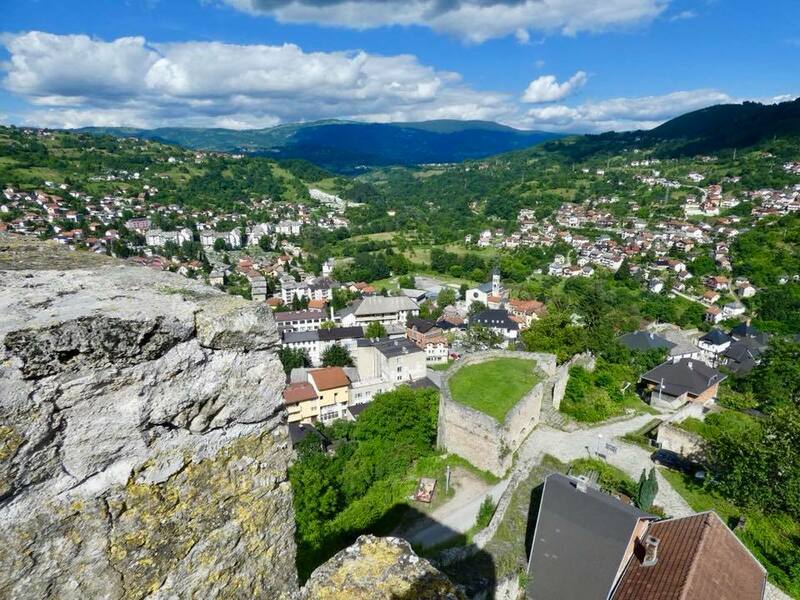 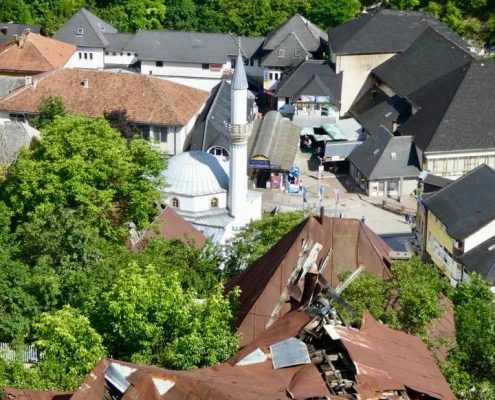 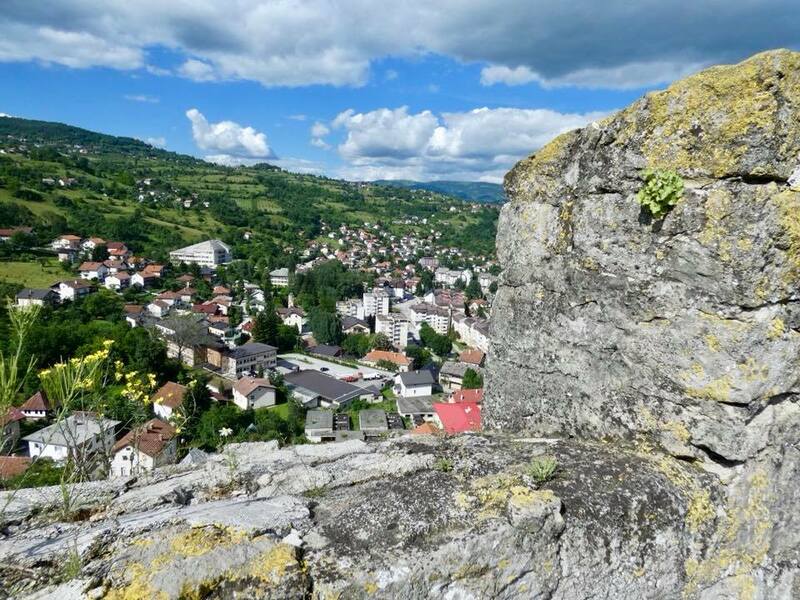 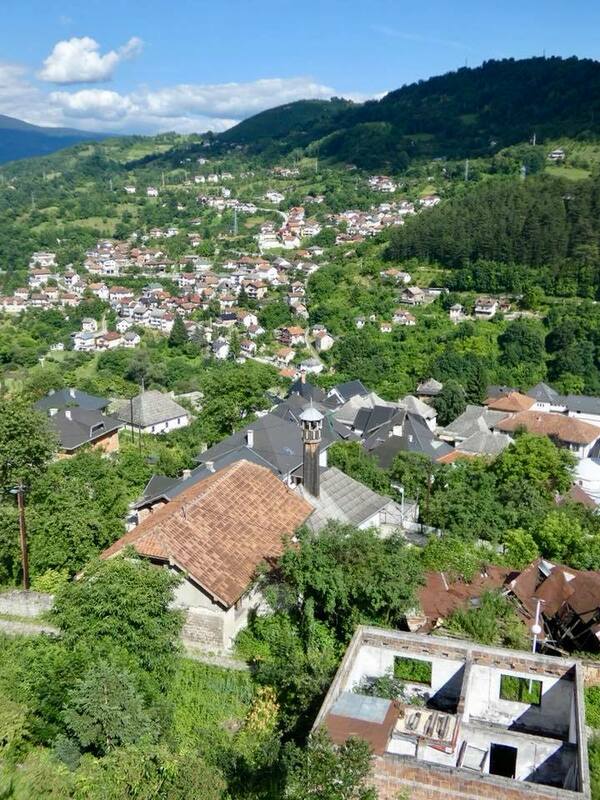 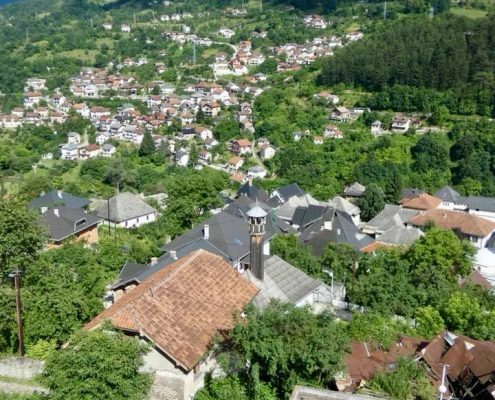 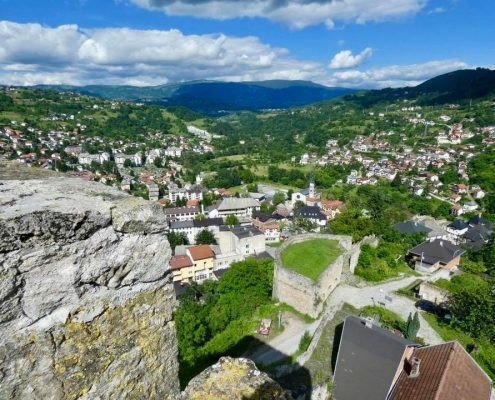 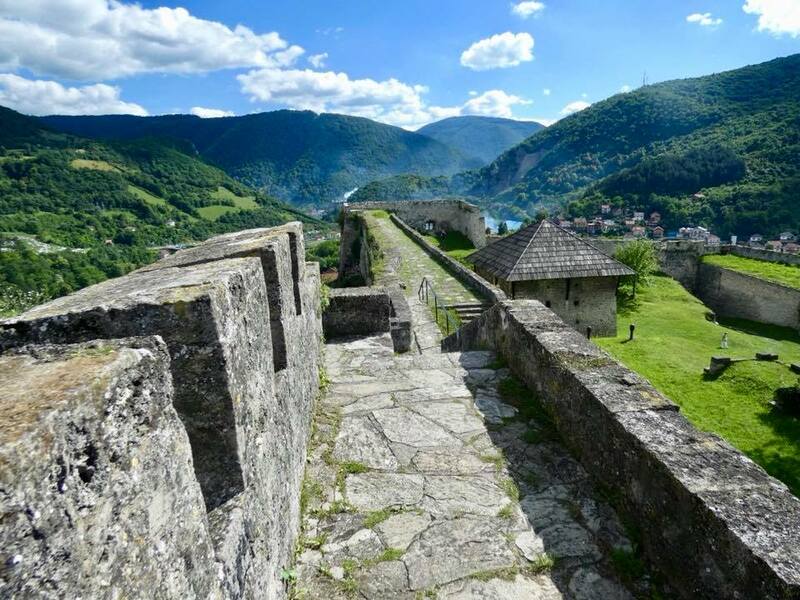 Jajce used to be a walled city with a massive fortress on top, which to a large extend remains intact. 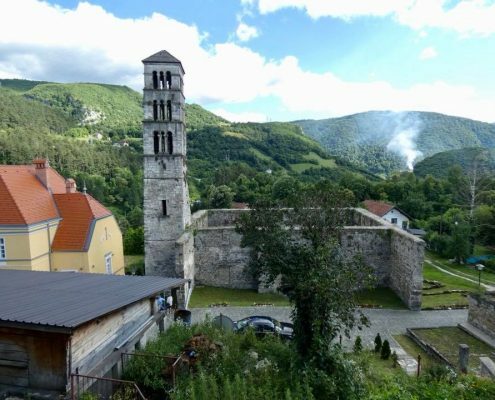 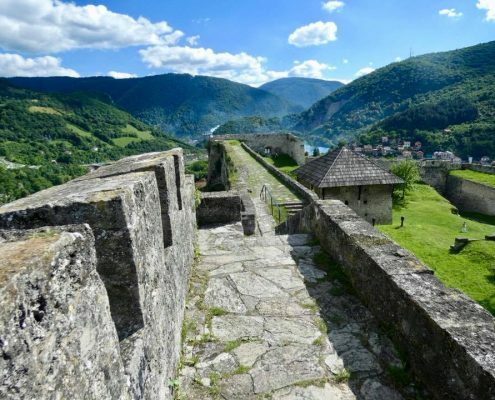 You climb steeply uphill to get to them fortress grounds and than you can walk around on the walls with absolutely panoramic views in all directions – the rivers below, several mosques and churches, ancient belltower, and amazing green of forested hills and valleys. 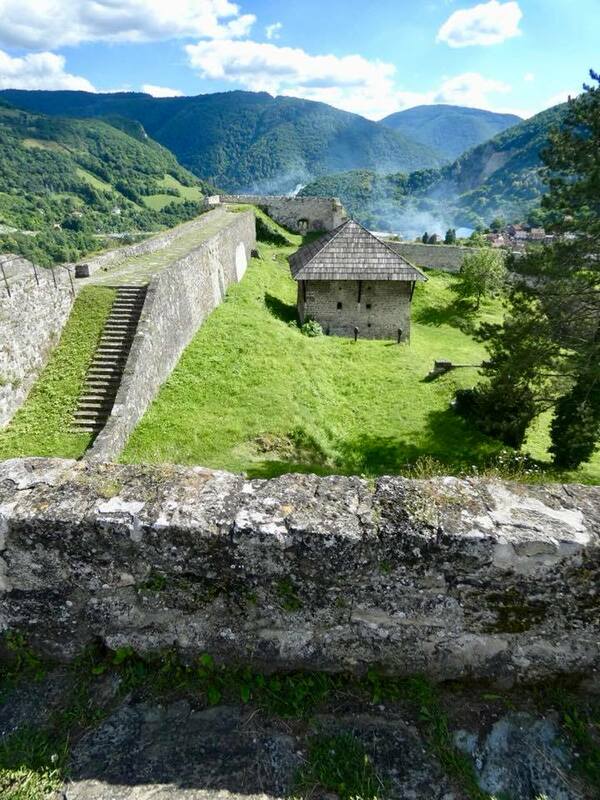 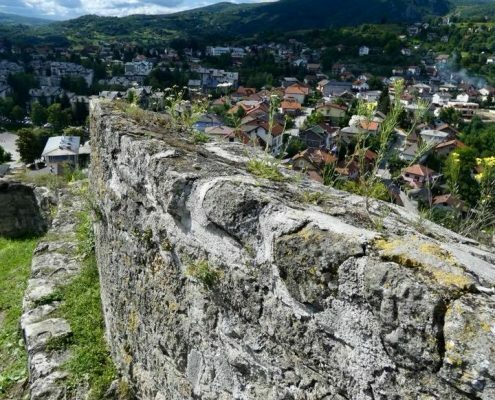 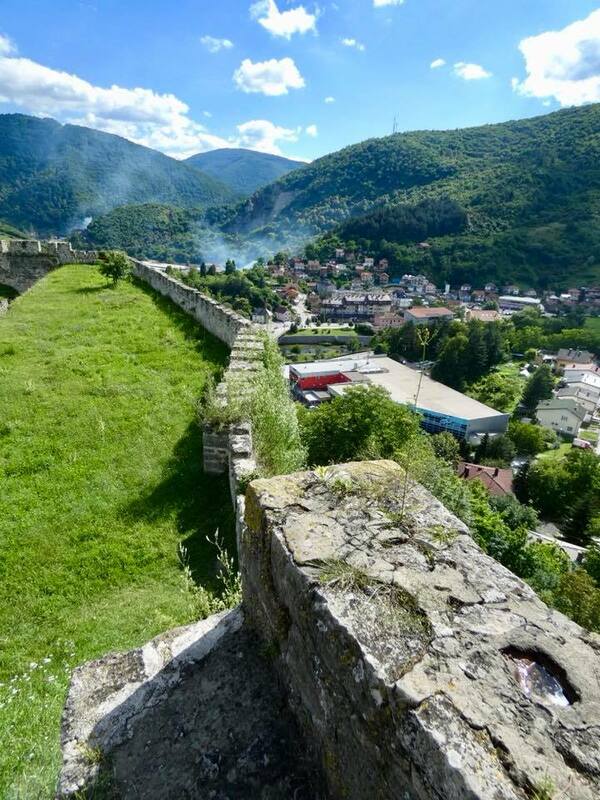 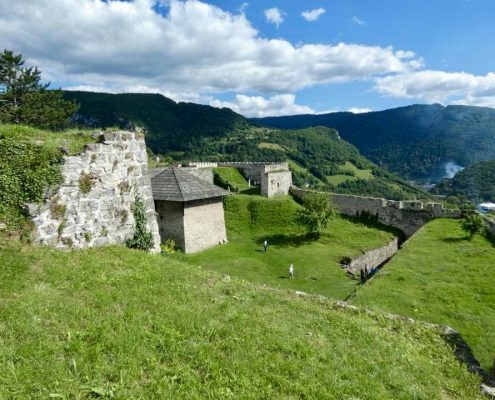 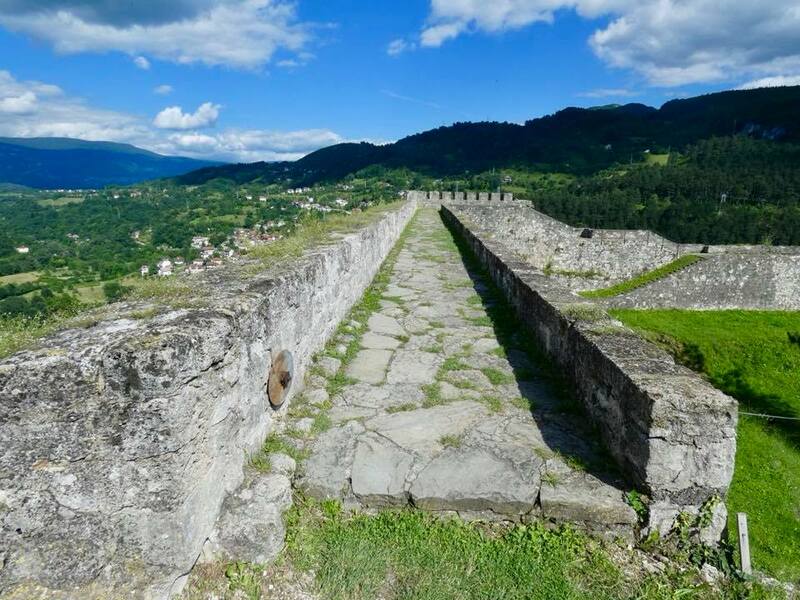 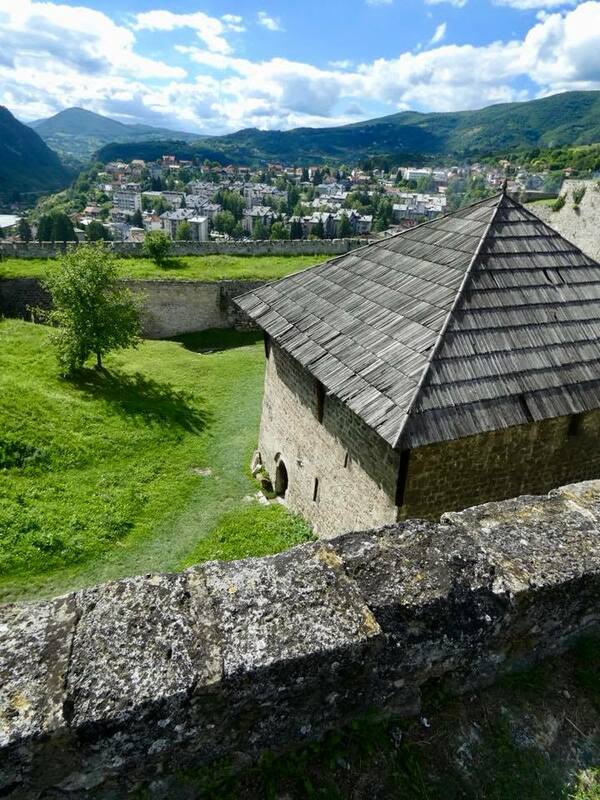 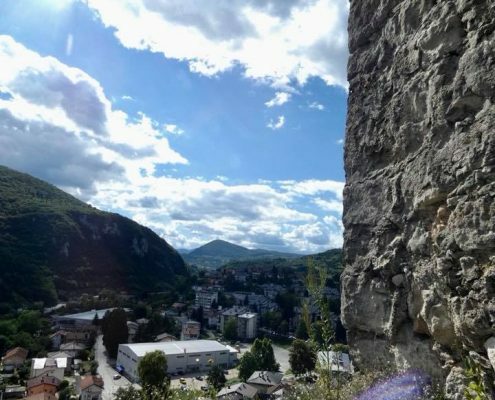 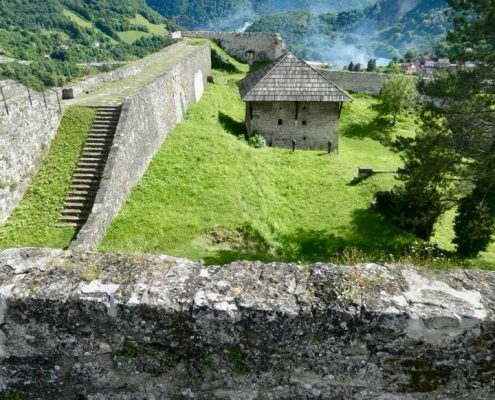 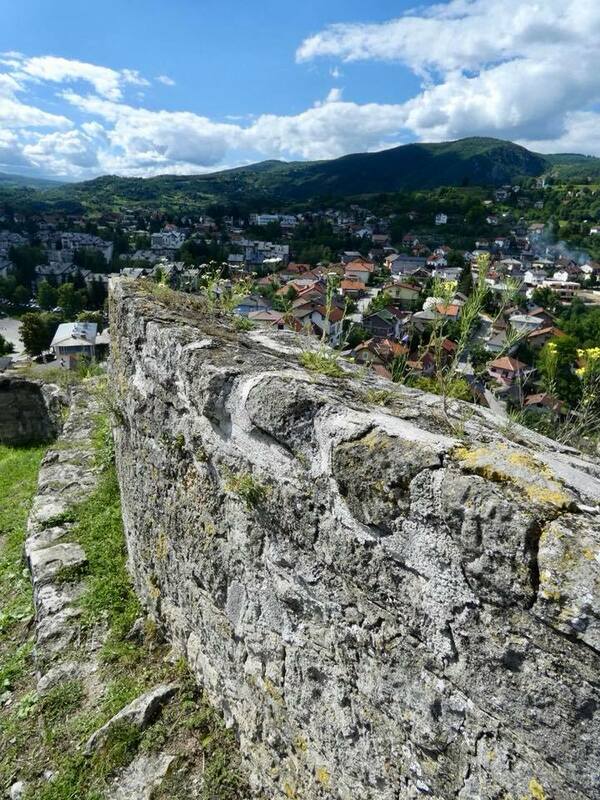 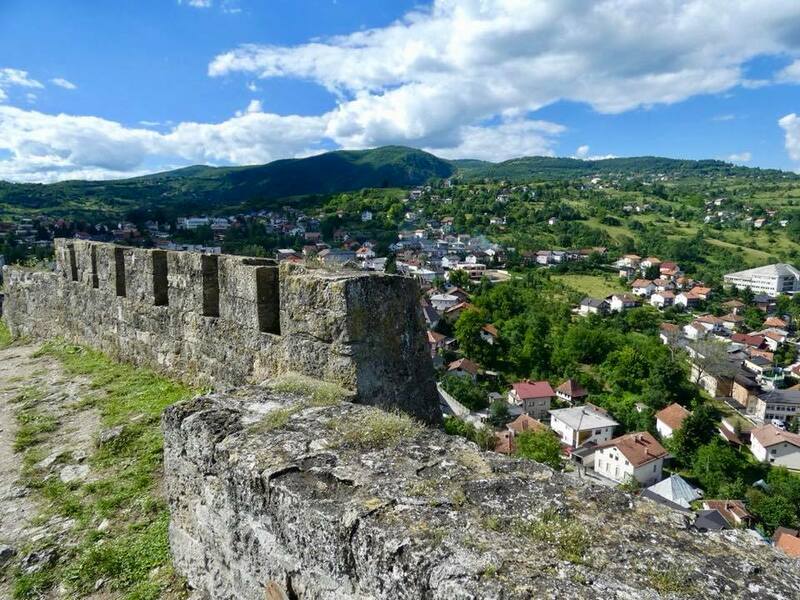 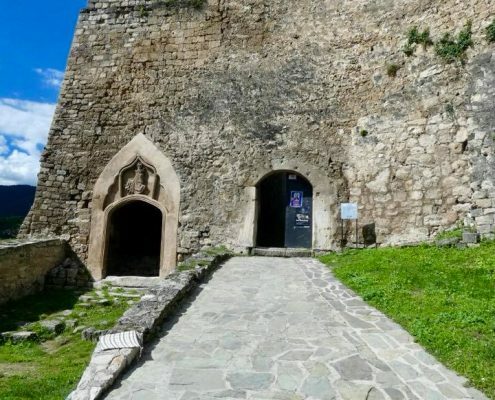 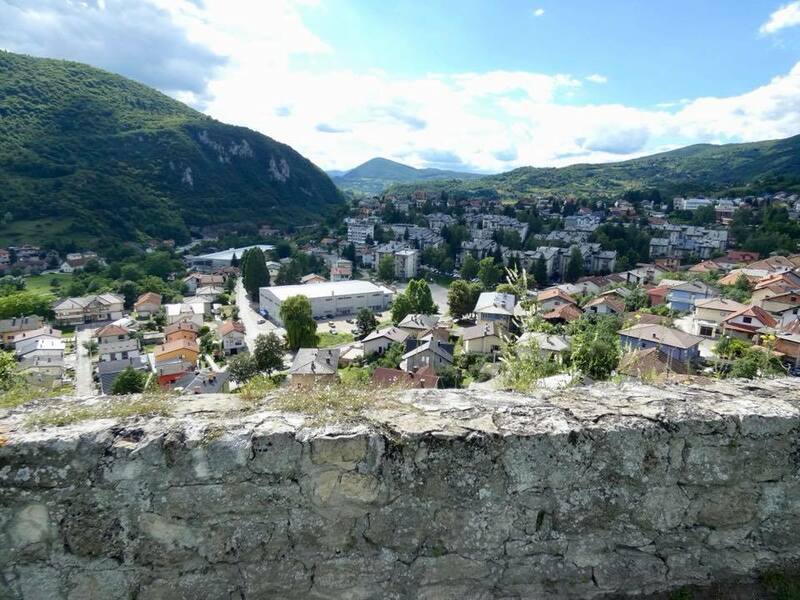 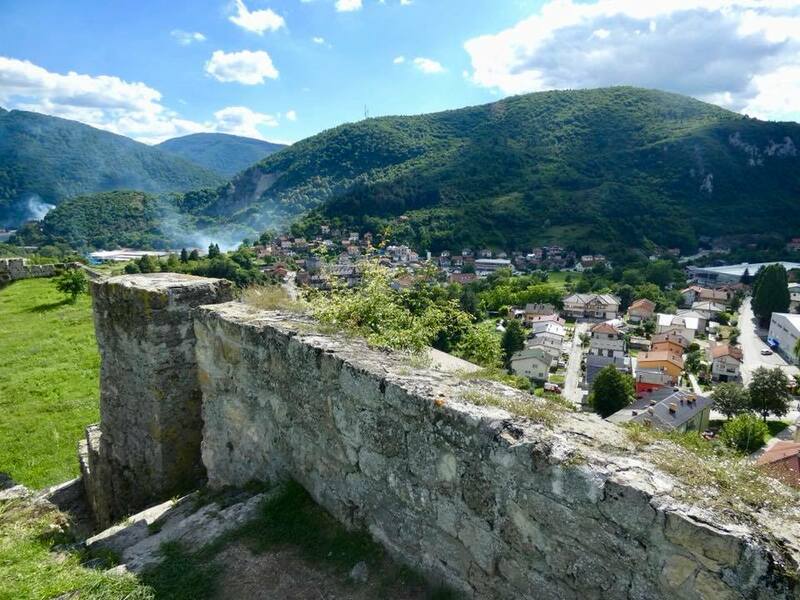 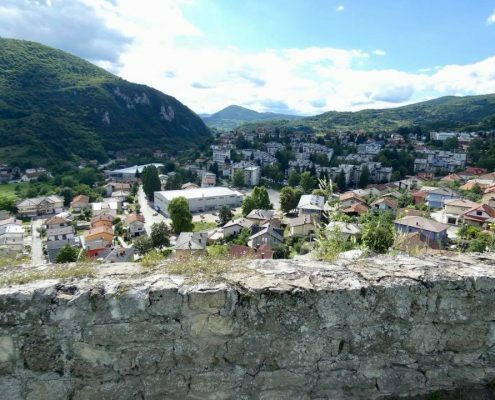 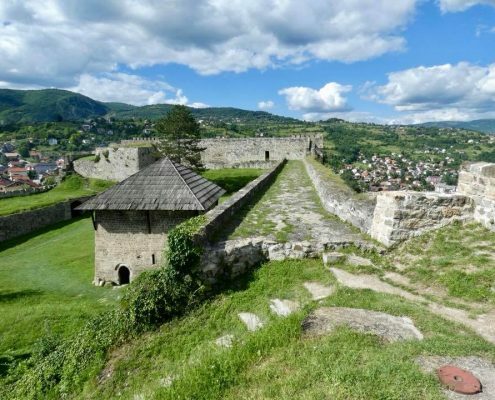 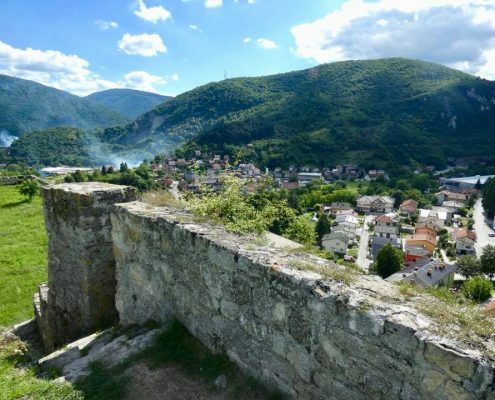 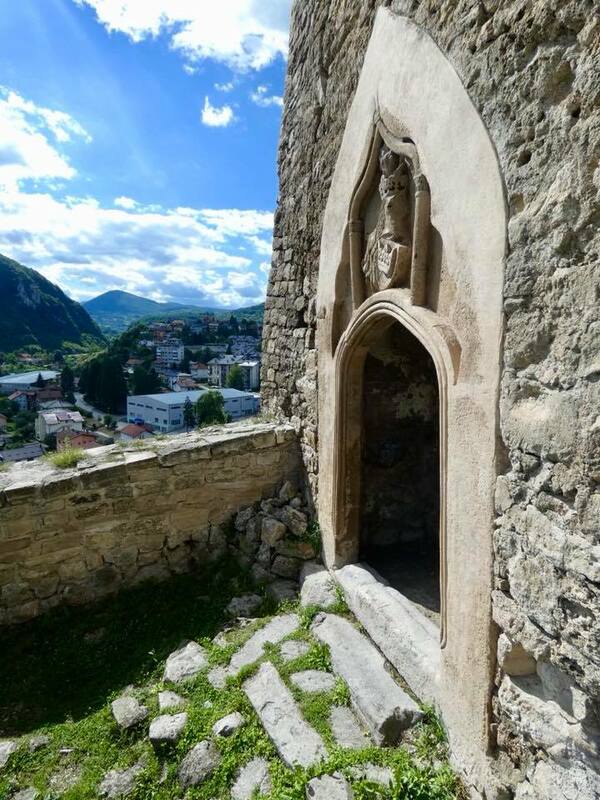 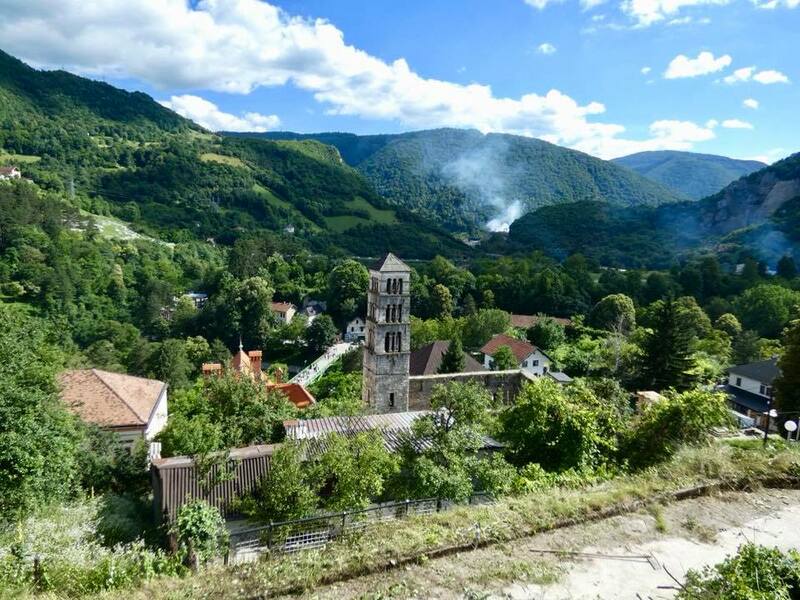 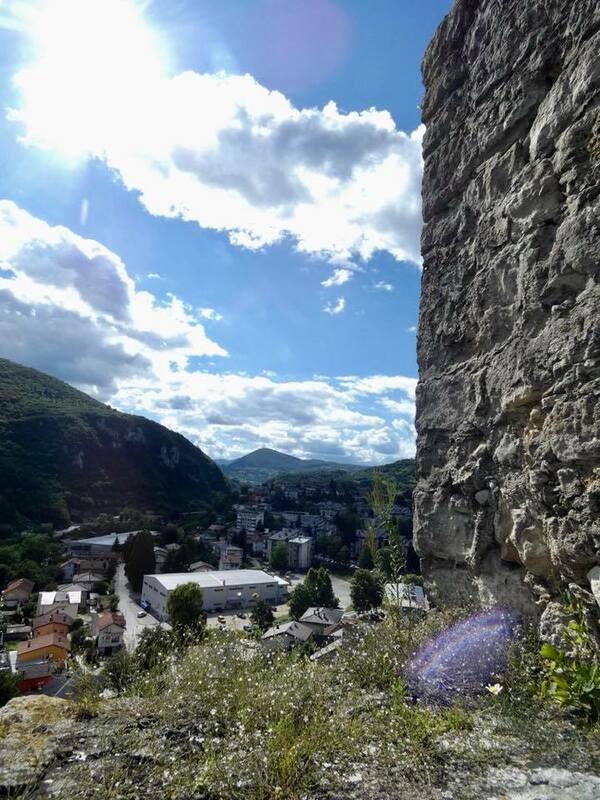 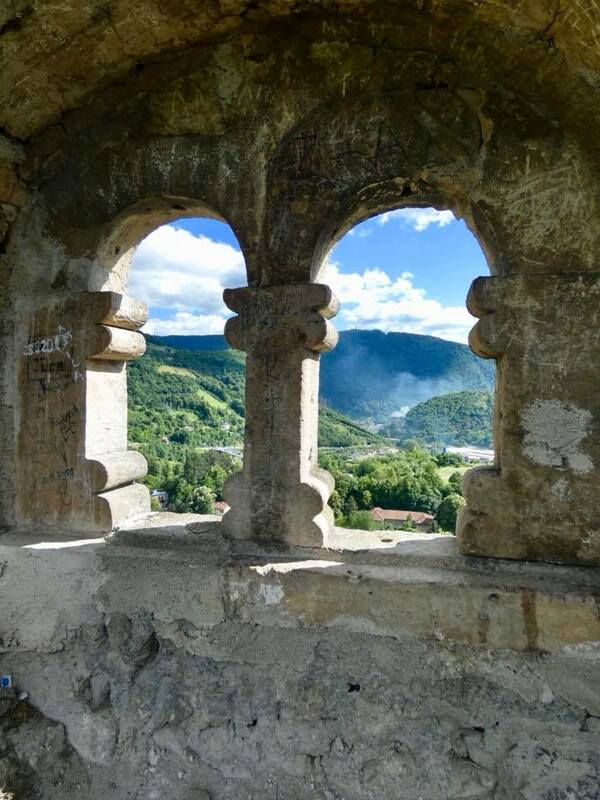 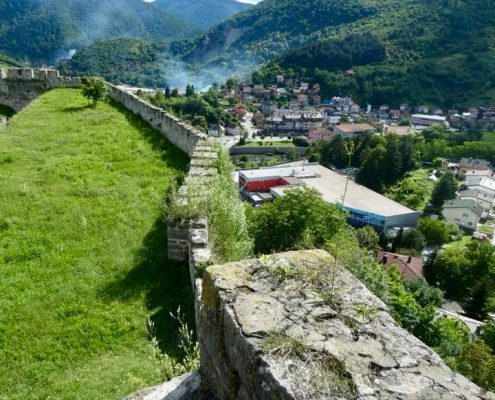 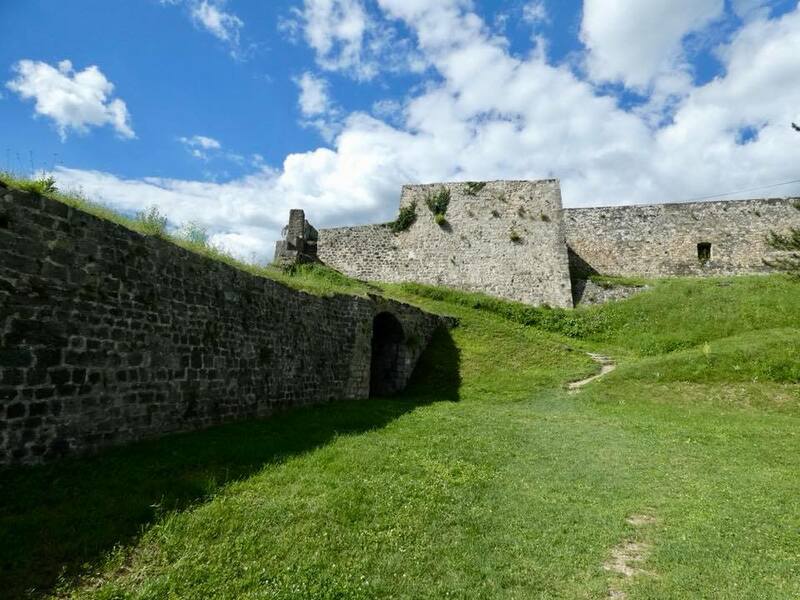 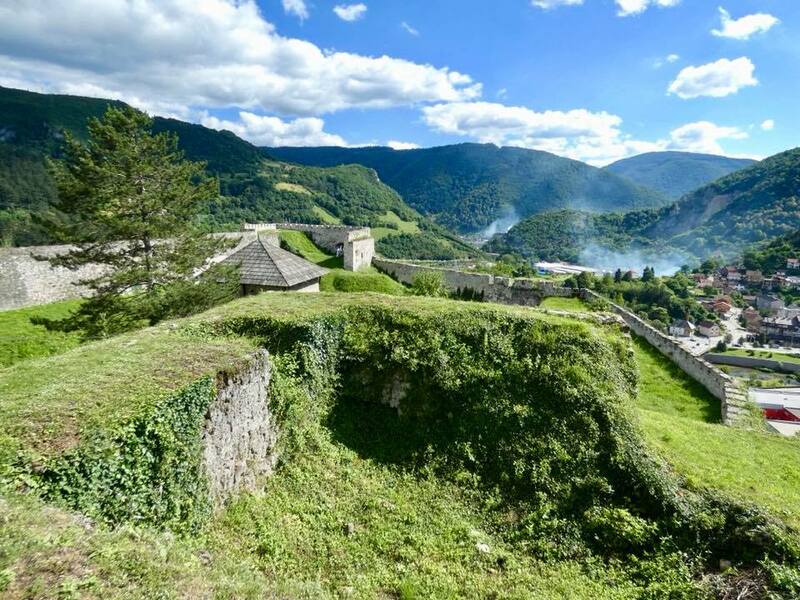 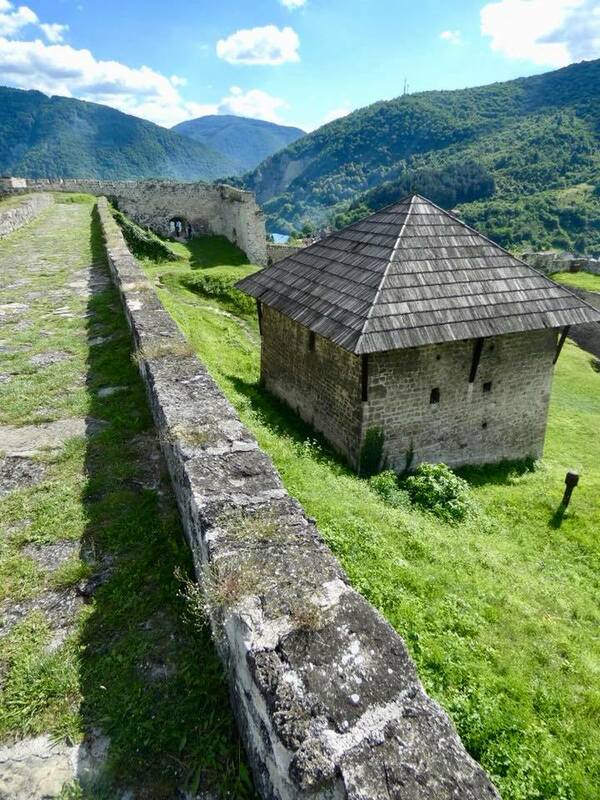 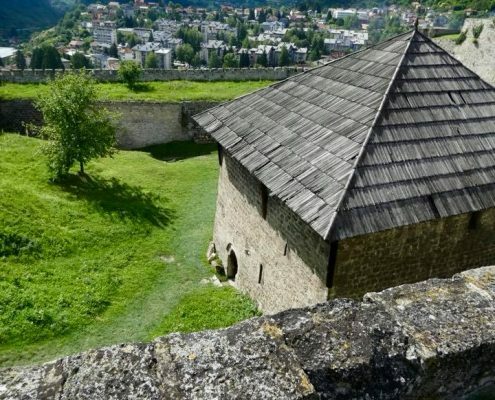 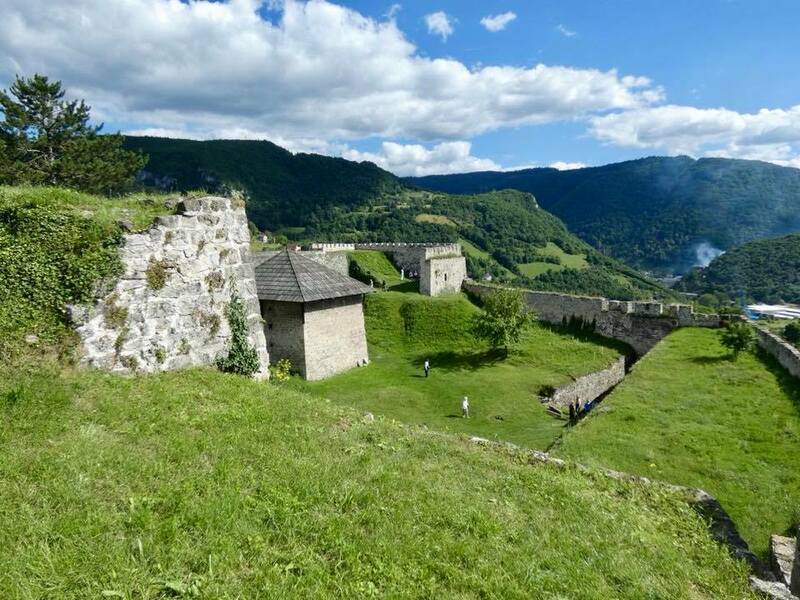 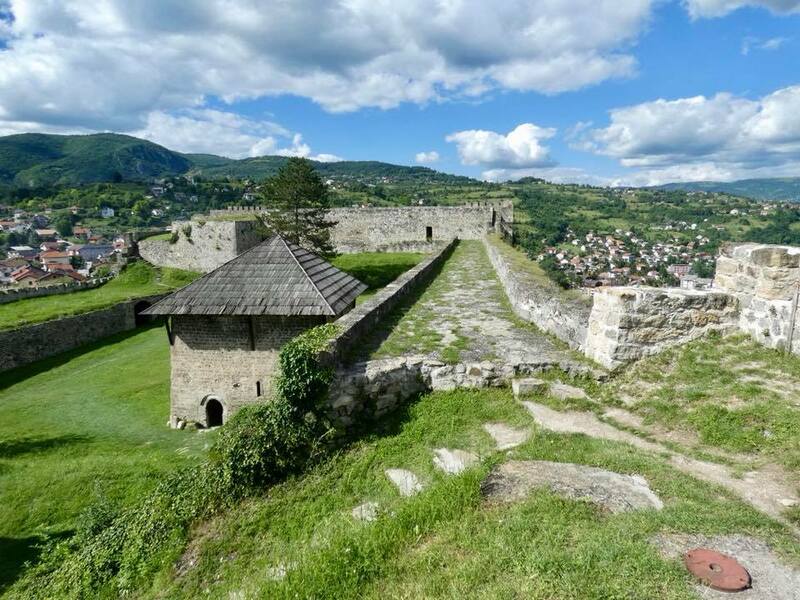 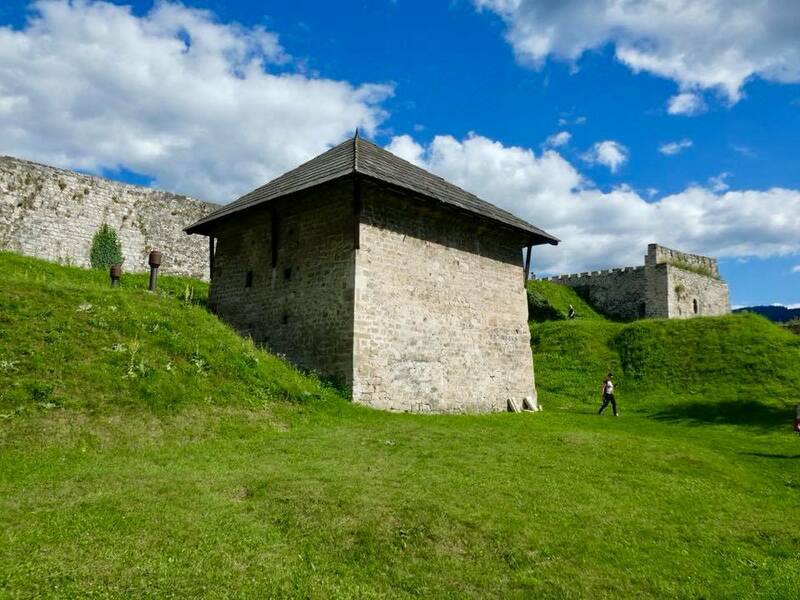 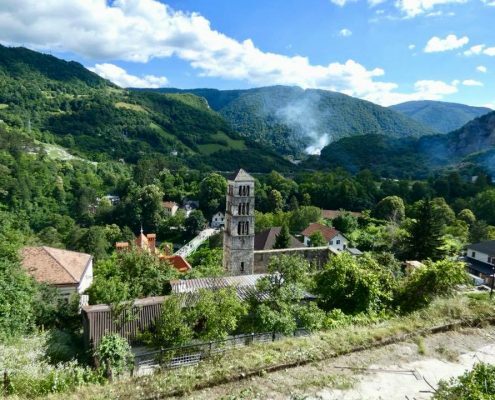 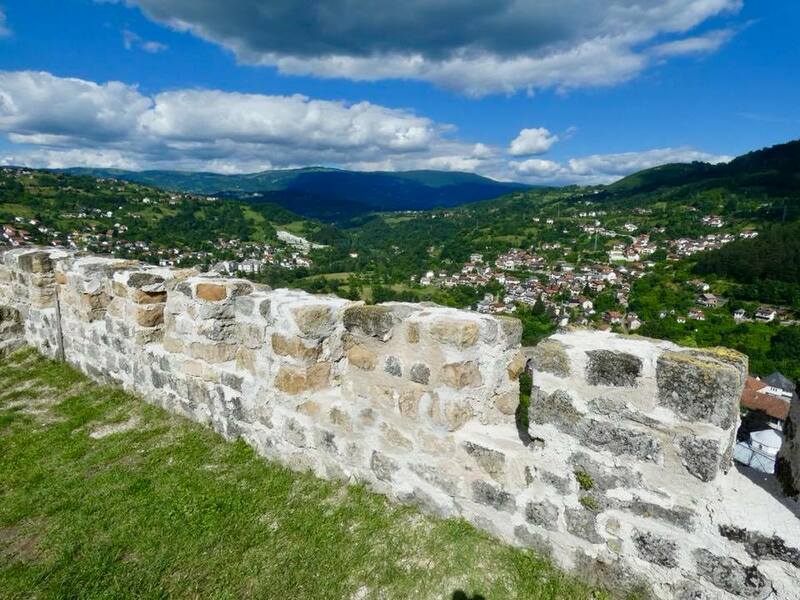 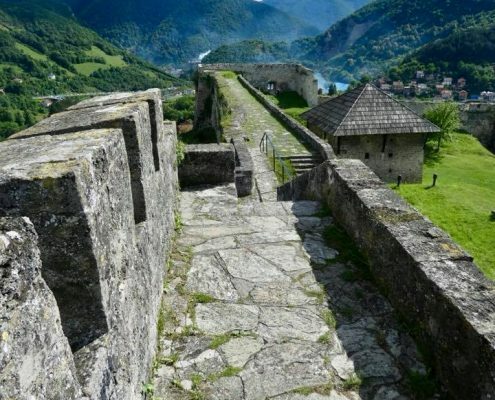 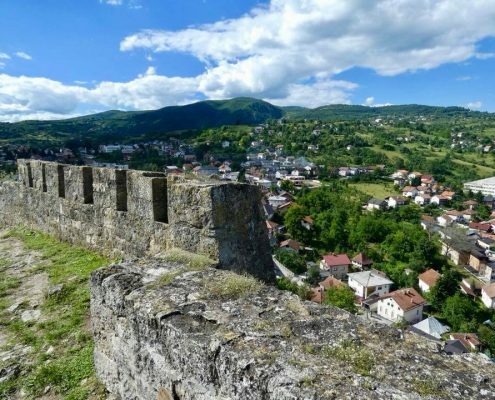 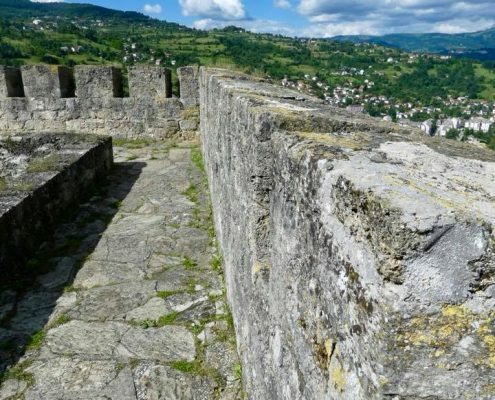 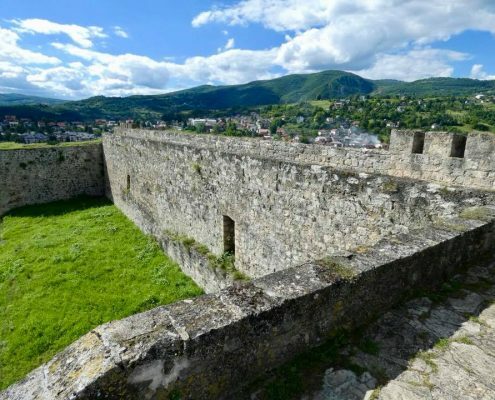 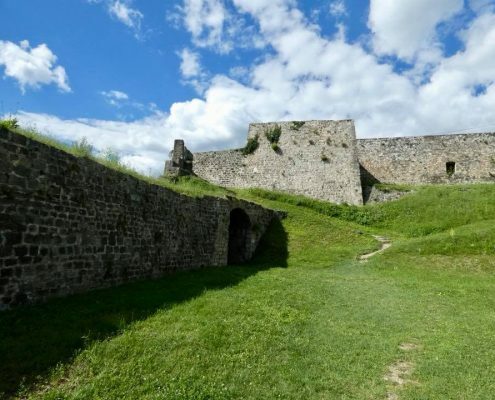 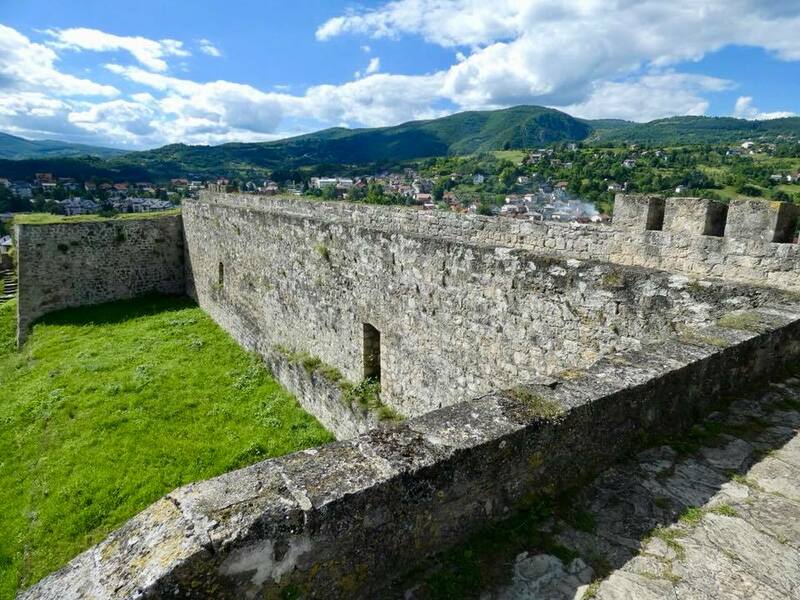 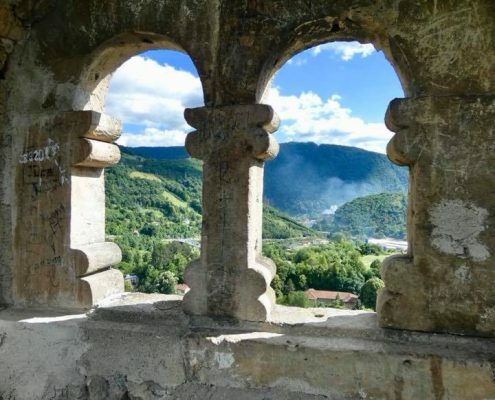 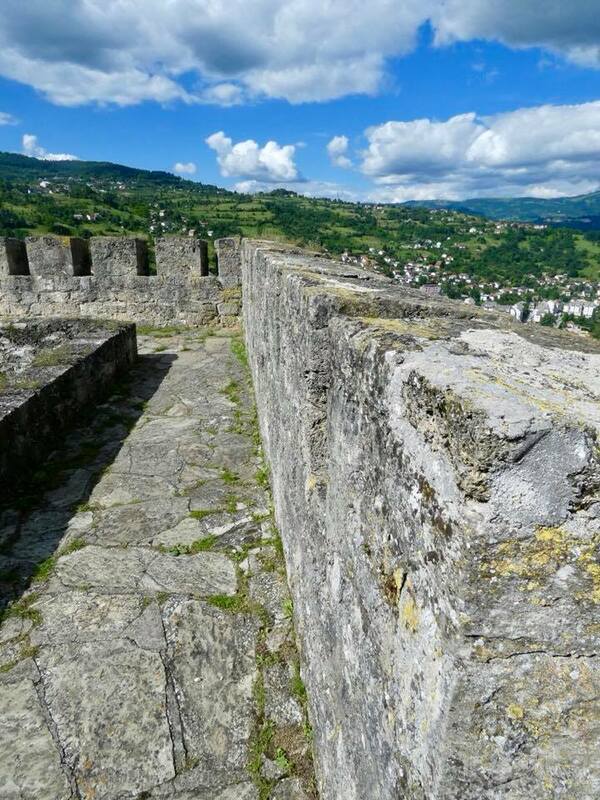 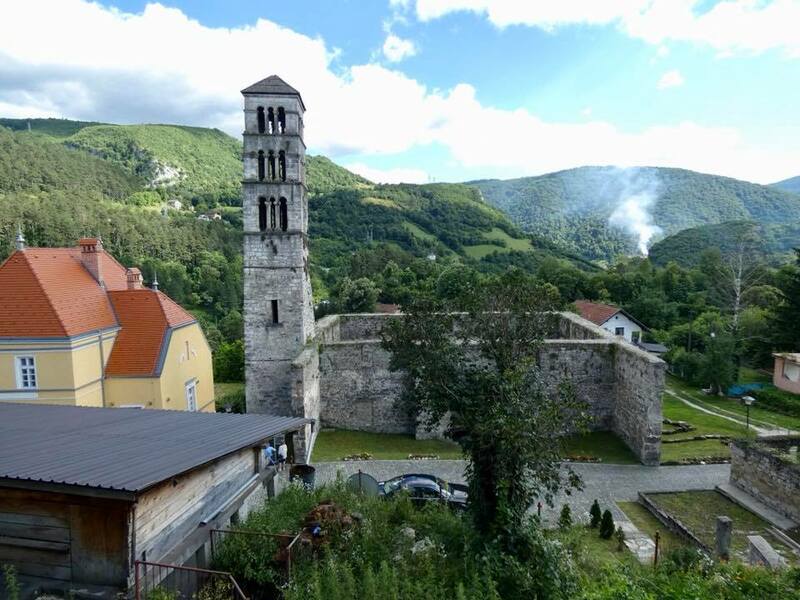 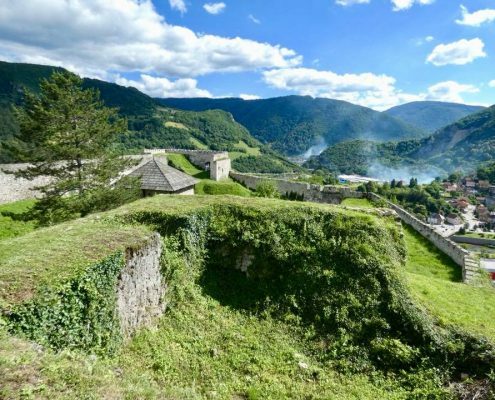 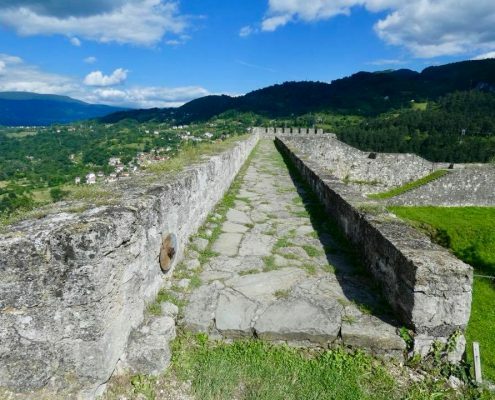 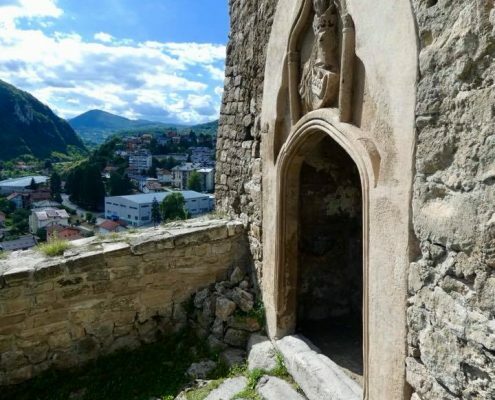 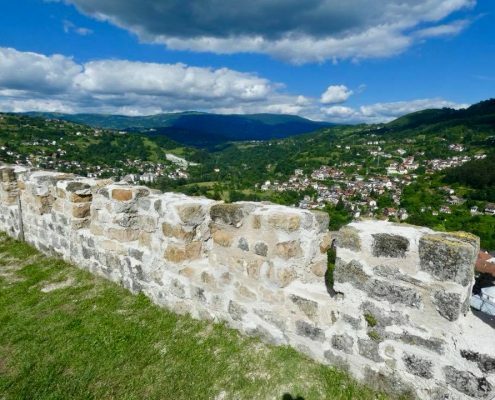 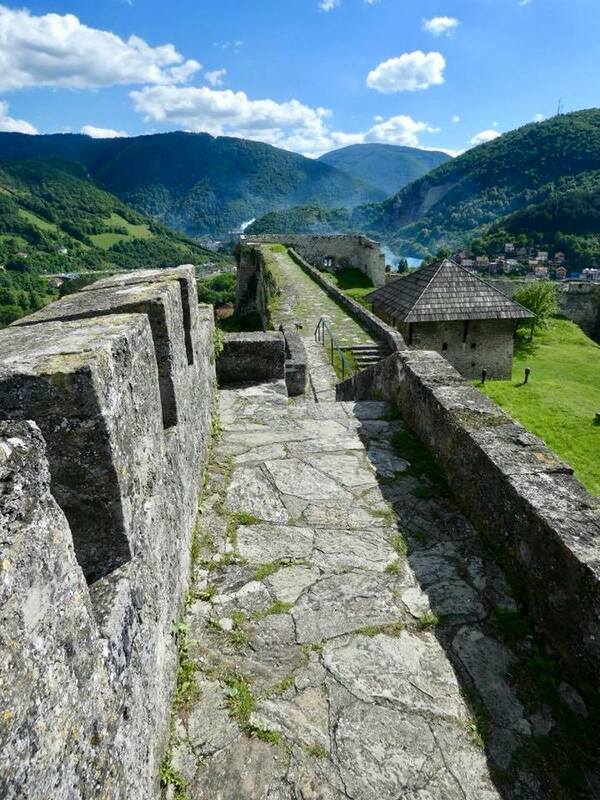 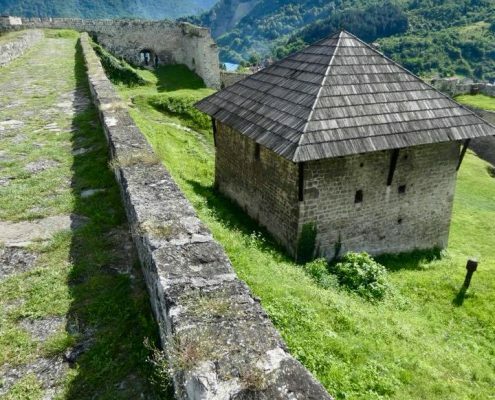 The fortress dates back to the early 14th century when it was the Kingdom of Bosnia, it was on a very strategic position and thus the subject of many military conquests, the last being the Bosnian War in 1993-95 when three different armies fought here.